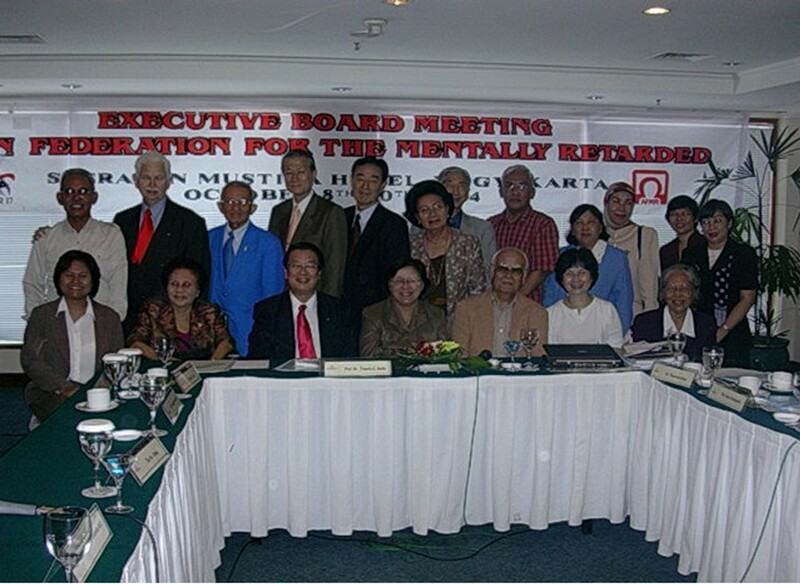 Immediately after the 16th General Assembly, the newly elected 17th Board conducted the first board meeting on 25 Aug 03. 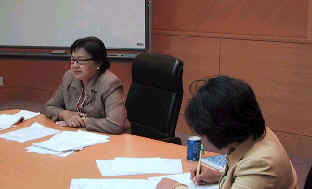 Dr Hadris chaired the meeting. She welcomed all to the meeting, in particular the new Honorary members, the 3rd Vice-President and Mrs Pramila representing India as the new Member at large. The board noted that Dr Francis Chen will be the 2nd Vice-President replacing COL Tay Tiong Beng in view of the Singapore internal arrangement on representation on the Board. However, COL Tay will continue to manage the Permanent Secretariat. On the theme for the 17th AFMR Conference, the President will take the board's comments and discussed it at the organising committee level. The 17th Board is happy with the successful conduct of the 16th AFMR conference and record a vote of thanks to Dr Arima and his organising committee for a job well done. The 3rd Vice-President is Mr Bae Yun Chang from Korea. He is also appointed as the Chairman of the Membership committee. 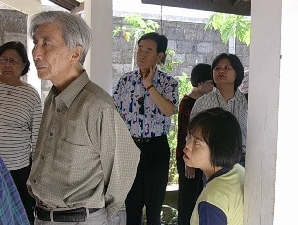 The other two members are Rev Brendan and Mr Yeung Tak Wah. The Permanent Secretariat will support the committee in the administration and processing of membership application. The committee will also look at how to encourage and increase the membership base of AFMR. Prof Yamaguchi expressed his appreciation of the work done by the Permanent Secretariat, he is happy with the progress and the work done by the Permanent Secretariat over the last two years in particular on the creation of the AFMR website. These were shared by the other Board members. With the election of the new Honorary members and the new board members, the Permanent Secretariat requested for them to send a short CVs so that the AFMR webpage can be updated with the new appointment holders. 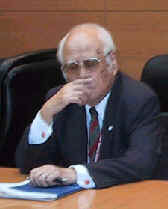 The next Board Meeting will be in Indonesia and the probable date will be either Sep or Oct 2004. The AFMR Executive Board meeting was conducted from 8 Oct to 10 Oct 04 in YogJakarta, Indonesia hosted by the 17th ACMR organising committee. Prof. Fawzia Aswin Hadis, Dr. Masataka Arima, Prof. Tai Hwa Emily Lu, Dr. Francis C. Chen and COL Tay Tiong Beng, Mr. Bae Yun Chang, Prof Kaoru Yamaguchi, Vanrunee Komkris, M.D, Rev. Fr. Brenden M O' Connell, Prof. Joung Kwon Kim and Dr Sriwongse Havanonda and members of the ACMR organising committee attended this Board Meeting. e. to review the presentation materials for each segments of the proceedings for the coming Board Meeting in particular on the presentation of the progress for the organisation of the 17th ACMR. 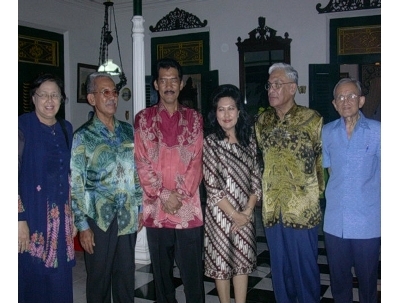 The Board was hosted to a dinner at the Prince's residence on 8 Oct 04 and another one at the Sleman's Perfecture Chief's residence on 9 Oct 04. These would likely be the dinner sites for the 17th ACMR's official dinners. a. The theme for the 17th ACMR was endorsed by the Board and it is "A concerted effort for the welfare of the mental retarded "
b. The 17th ACMR Conference will be held from 18 to 23 Nov 2005. A tentative schedule is attached. c. Hot issues: The Board also approved the proposal to break the participants into groups to discuss selected hot issues (for example, aging, criminal and sexual offences). These groups would be facilitated by Board members and report would be presented to the conference participants at the end of the discussion. The discussion would be done in English or Bahasa Indonesia so that local participants could also participate in such discussions. d. Country report: It was agreed that the country reports should be presented in the plenary sessions. Each country would be given a topic to report on. For Singapore, it was agreed that we should focus on infrastructures and facilities. Other countries such as Korea would focus on advocacy, Indonesia on parental roles, Japan on genetic and medical, Taiwan on teaching methodologies and curriculum and Philippines on inclusive education. e. The cost for the conference would be US$250 for member, US$300 for non-member and US$200 for accompanied person for early bird registration before 30 June 2005. After 1 July, it shall be US$50 more for each category. 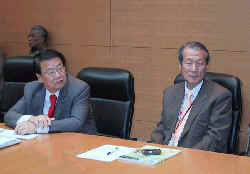 The Board also visited two agencies on 10 Oct to evaluate which agencies to visit during the actual conference in 2005. 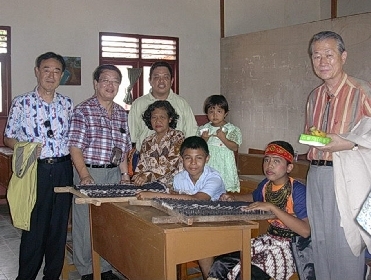 One was a special school in Semin Gunigkidul about 90 km away from Yogjakarta. It took about two hours to arrive at the facility which is a boarding school for about 40 IDs who lived in the facilities and another 13 who stayed with their families in the nearby villages. There are 11 teachers/trainers. Of which 5 are from Ministry while the rest are engaged by the school from the nearby village. The trainers/teachers were paid about 35,000 RP a month which is equal to about S$7. The expenditure a month is about 1 million RP or about S$200. This is excluding utilities which are all paid for by the government. Besides the usual academic curriculum, the students were taught living skill such as growing fruit tree and vegetable, rearing cows, goats and other farm animals. This may be a good facility for us to develop some kind of exchange, not so much to learn new methodology or new technology but more from exposure and experience for our clients and training officers. The second facility visited was closer to Yogjakarta. This facility is quite similar to Tampines Home. It is a home coexisting with a special school. There were only about 30 clients with about 27 staffs. It is almost one to one ratio as the cost for engaging a staff a month is 250,000 RP i.e about S$50. There were however no training curriculum, it is basically a care facility and the training the client received would be based solely on the capabilities of the staff assigned to him/her. During the board meeting, one key issue bought up by the Permanent Secretariat was the process for the bidding of future ACMR, the Board agreed that for future bidding, the countries interested to organise the ACMR would have to present their concepts, outline how they are going to do it, what their strengths are and what are there for the members in term of costs, studies and visits. The Board would then decide and select the country to organise the ACMR. This would be implemented with effect from the ACMR in 2013. 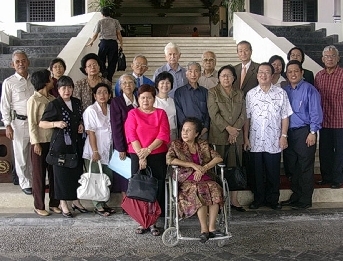 As a whole, the meeting was successfully conducted and the members are looking forward to meet at the ACMR in 2005 in Yogjakarta. Prepared and Submitted by COL Tay Tiong Beng.